"Our client & customer service is our marketing." We are so grateful to our past, present and future clients. Really don't know where to Start with Joseph and his team! By far, the Most Honest, Dedicated, Driven, trustworthy and most importantly PATIENT Realtor I have met. ('Joseph if you read this, I know I was not an easy client, THANK YOU FOR YOUR PATIENCE) There many Realtors out there,But after meeting Joseph, I knew he was the best For me and my Family. Didn't go with anyone, as the comfort level 'wasn't there' He (Joseph) is TRULY number #1 in the industry. Best Decision 'we ever made' As a First Time home buyer, I was nervous out of my Mind, 'Joseph made the process seamless, before I knew it, 'My family and I' were a proud home owners.!!!! He truly treats his Clients, like Family, and gives them ease of mind, not to mention 'Goes out of his Way' to assist you in all area's. whatever you need, Joseph can get you! Well connected,and well respected. (very Important) He is truly an expert, and 'You can Trust him' as He fought to get me the Best Price, and will do the same for you. ' I WILL BE COMING BACK TO JOSEPH, AS HE IS TRULY#1 in ALL OF GTA! #TEAMJOSEPH!!!! All the way! My husband and I bought our dream home and had been trying to sell our old house for 5 months with no luck. With 2 small children it was the hardest and most stressful time in our lives and we were at our wits end.. On a whim we parted with our agent and decided we needed a new plan as we were carrying 2 mortgages and didn't know how much longer we could hold on.. By chance we came across Joseph while searching real estate websites and something told us to meet with him.. It was the most positive and uplifting experience we had in a long time and he was so confident in his abilities that we instantly knew he was going to do what he said.. His professionalism, as well as his overall outtake on life made us trust him and eased some of our stresses. Then one day about 2 weeks later there was an offer and just like that the house was sold. Knowing we were already worrying, Joseph took it upon himself to iron out all the details and gets us what he knew would make us happy, prior to bringing us the offer so that it would be straightforward and problem free.. That's the kind of agent we needed all along.. Someone trustworthy and understanding, who sold our house as if it were his own.. Joseph has many qualities that make him an amazing agent on top of getting the job done.. He not only sells your house but he leaves you with an overall sense of peace, which to me is something you can't find in real estate agent.. He truly is a gem in the industry and deserves every bit of praise! Thank you Joseph! Call him now..
To All Sellers & Home Owners: "My wife and I interviewed several real estate agents before we decided to sell our home with Joe. Quite simply, Joe had the best services for discounted commission packages and he was the most friendly, efficient agent we have interviewed. His energy was amazing, out of this planet and somehow we knew he would sell our home quickly and at the highest possible price. Joe listed our home as if it was his own home, he was very communicative through the entire process and extremely knowledgeable of the market and the timing. Not to mention, he sold our home in 7 days with record breaking price in our neighborhood. We recommend Joe's maximum results services to anyone who would like to sell their home. Call Now & Experience The Difference. This was our first sale and second purchase and it was a true blessing to meet and work with Joe to sell our house and then buy a new house. We met with a few agents prior to Joe but didn’t feel comfortable working with them – Joe was very professional, energetic, honest and “to the point.” I’m a very analytical person who likes things done, to the point and professionally - Joe did just that. He didn’t waste our time, always made himself available and was there to answer every little question I had. Before we knew it our house was well prepared, listed and SOLD. It all happened really fast as we were preparing for the birth of our second baby. Joe was on top of his game to help us find a new home before the baby arrived. He understood our wish list, stayed optimistic and helped us purchase the house we wanted. After viewing almost 40 properties in a low inventory market we are now in a place we can call a home, thanks to JOE. I have already recommended Joe to all my family and friends. If you are looking to buy or sell, before any commitment I would suggest that you speak with Joe. He works with you as a true friend and for your best interest. Buying or selling your home can be a stressful time and one thing I learned from Joe was to stay positive - he helped made our buying and selling easy with his knowledge. After working with Joseph on the sale of my home, I’m happy to confirm other testimonials here: there is a difference between Joe and the average realtor. He is “not your average Joe”. In addition to his professionalism and enthusiasm as a realtor, Joe has a very positive outlook on life and attracts positive results. My townhouse sold in just under a week upon listing and it sold at the highest reported price in the complex to date. Joe was instrumental in bringing that about and always available if I had questions or concerns. The end result is of course important. But in getting to that place, I wanted to work with someone who was reliable, honest in his opinions and motivated. In my dealings with Joseph, he was all that. I would not hesitate to recommend his services. If you have any doubt, read further testimonials. Better yet -do yourself a favour, meet with him and see for yourself. We reached out to Joe to secure his services in the sale and purchase of our home. Our decision was heavily influenced by the testimonials on this site and I must say that our experience is very much in line with the other reviewers. Having had a terrible experience in the past, I was very skeptical of real estate agents. I knew exactly when and what to watch out for, and I must say that Joe exceeded our expectation on "every" level. He is genuine person and has a "no pressure" approach. There were times when we were absolutely sold on a purchase and Joe guided us against it with his research. He is not out there to make a quick sale, but is there to secure a long term client and friend; That's a rare quality in a real estate agent these days. "I had the pleasure of both buying and selling property with the help of Joseph. All I can say is that the experience was effortless!! Joseph is highly organized and detailed. He follows-up and follows through. His advice is well thought out and he allows you time to make your own decision. He wants what's best for you. Not only that but as a gift he got us a trip for 2 to VEGAS.... That was the most incredible gift we have received. I would highly recommend Joseph to all my family, friends and anybody who is buying and selling real estate." If you’re reading this message right now and thinking of listing your home. I will put my name on the line and recommend Joseph Azimi as your realtor. You will have no regrets and will end up writing one of these great testimonials. 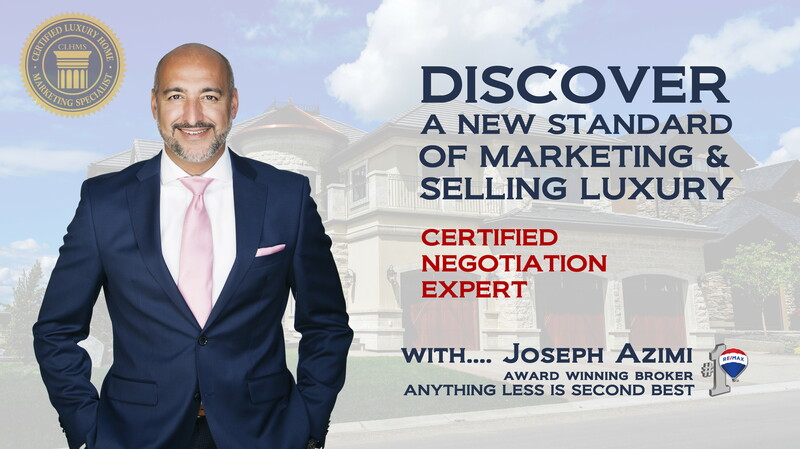 SO, if you are looking for a realtor with the following attributes; HONESTY, GREAT LISTENER, KNOWLEDGABLE, NEGOTIATOR whether you’re buying or selling, PROMPT and RESPONSIVE…then you need to contact Joseph Azimi . I bought and sold within one week and let me tell he was the NEGOTIATOR. Joe, I can’t thank you enough for the outstanding job you did in both buying and selling of my property. You’re a ROCK STAR realtor and a great conversationalist. I have had an amazing experience working with Joe. He coached me through buying my first property. He was always patient and willing to answer all my questions. When we finally picked the 'One', I was excited, but scared. Just 4 months after closing my property, the value increase from 263k to 300k+!!! What more could I ask for? Take my advise, if you want more than just a place to stay, but also a good investment, get Josephs help. We had the most wonderful experience with Joseph as our realtor. He has so much positive energy that it is infectious. He gave us the advice we needed to have the quickest and most profitable sale we could have imagined. Not only is Joseph an outstanding realtor, he is a wonderful person, very generous with his time and attention. We appreciate everything you did for us Joseph and especially your fantastic personality. You are truly gifted. We wish you continued success and know that you will continue to outshine your competition. We highly recommend Joseph to all our family, friends and neighbours! Joseph will help make great things happen for you. Joseph did an outstanding job of due diligence to help us understand the condo market within our building as well as comparable buildings in downtown Toronto. As an agent, his advice was invaluable and in the end helped us get a higher sale price than we felt possible for our property. Joseph is an engaging character and really took the time to understand our needs as we went through our sale process. Overall, Joe was excellent and we will use him for all our real estate needs going forward”! Joseph sold our house for MUCH MUCH more than the market expected. He made our first time selling a home a PLEASURE... We recommend JOSEPH to everyone we know. If you do not pick him you would be FOOLISH!!!! He always has the time to answer questions or concerns and ALWAYS has such a POSITIVE outlook, his good energy will rub off on you. We will DEFINITELY use him AGAIN!!!! We first met Joseph when he sold our son's home in 2012. We were pleasantly surprised when he sold it for more than had expected. His mannerism and character made it a no brainer when it came to selling our home when I retired so we could start travelling and move to the east coast. So we contracted Joseph. He visited our home and he was amazing. Together, we came up with the value for my home. Then discussed thing we should do to get top value. Taking on these projects Joe was amazing coming over once a week for five weeks and checking on the progress and pointing out any things that we may have missed. Then when we were finish and put it on the market Joe said he would sell it in a week and was sure of getting listed price. Well he did what he said and better he sold it above listed price. Thank you Joseph for guiding us through the renovations and the great return on them. Joseph doesn't just treat you like he is your agent but he also becomes your friend. I will definitely recommend you anyone who is looking to buy or sell a home. Call Joe now and see for yourself. Thank you Joe for a job well done. Hi Joseph, I just wanted to thank you again for helping me find my first dream home!! You made the whole home buying process fun and painless but most importantly, you put up with me and my nerotic behaviour. You are one of the most patient man I've ever known. I look forward to buying my second and third home from you and will definitely pass on your contact info to all my friends & family! Thank you for the patio set furniture. Wow you are the best, Joseph! I hope you can attend my housewarming wine & cheese party. I will be having the party in couple of weeks, once my renovations are complete- you will be the guest of honour! Buddy....BRING LOTS OF BUSINESS CARDS! I really appreciate all the help in finding us a beautiful home. I am glad to know you and your team. Thank you for my beautiful home. I really love the area, style, especially the back yard. You really found us the home of our dream. Thank you Mr. Joseph Azimi. We were moving to Florida for good and we needed to sell our home. At first William and I tried to sell our home for sale by owner. We tried but after 3 months we needed to sell fast and then my daughter Nadia referred Joseph Azimi to us and he guarantee the sell of our home in 30 days and to our surprise Joe sold our home in 25 days. I will admit I was very skeptical at his 30 days sold guarantee but Nadia my daughter assured me that Joe is not an average agent. Joe kept us informed, negotiated us through a sticky issues and got the deal done. I was so happy I would recommend Joe and his team to anyone who wants to sell fast and for more. Joe's attitude and belief's is magical. I've never seen anyone so positive, so happy, so determine in my entire life. I believe him now when he said, "I am not your average JOE!" Call Joe now and let him impress you with his attitude, belief and positiveness. Not only he will impress you, he might change your life for good before he sell your home. Call Now! My wife & I had worked with a few real estate agents prior to meeting Joseph. They were all good agents, but once we met Joseph we realized immediately that he was someone extraordinary. Professional, honest, trustworthy, smart, helpful, extremely positive and that something extra special that makes you feel like you're the most important client he has. The attention he pays to the client & the clients needs are what helps him stand out above the rest. He listened to our needs, & showed us homes that fit them, rather than trying to force a home on us we didn't want. He is a very very very good REALTOR. "We are writing this in appreciation to Joseph Azimi for the wonderful professional service he gave us in the purchase of our home in North York last month. He particularly impressed us with his attention to details and he literally babysat us every step of the way. Many thanks to you Joe and we have already recommended you to our friends and family members. We wish you a very enjoyable spring and summer." Thank you so much for the gift and for caring so much. "...it was a genuine pleasure to work with Joe.” Joe worked hard to find us the right place for our family, rather than just trying to make a sale. He looked out for our best interest to ensure we found a place we would be happy with at a very reasonable price. "We couldn't have asked for a more caring and loyal real estate agent than Joe." He cares with the atmost sincerity. "Nadine and I have done several real estate transactions with Joe, both as purchasers and vendors. And let me tell you, "what a refreshing experience to have the guidance and assistance of someone who knows the market of Brampton and Mississauga like the back of his hand, pays attention to details and provides incredibly attentive service. We never hesitate to refer our friends to Joe for their real estate needs." Truly, he is one of the best and caring real estate agents I've known so far. Thank you for the house warming gift....What a BBQ! You made my winter BBQ dream come true. Wow... I didn't expect that! I just wanted to say, "THANKS JOE!" You've listed my property through your website for just a few months, and It was sold in the worst times. Because of your services I have SOLD my home. I still have buyers coming in to see my property but its already SOLD, through your website. I couldn't say enough great things about you and your website! Keep up the great work, and here's to a profitable and blessed year! One more favor.... Please Advertise my home as SOLD! LOL! no more inquiries....LOL! May this year be a successful year for you. Thank you Joe for everything you have done! Dear Mr. Azimi(THE KING), Buying a home for the first time is never easy, especially when it involves moving across the country and to a city that was forgotten long time ago. My parents was right! When they said, "Joe will find you whatever you're looking and answer all of your questions." My wife and I had many unanswered questions until my parents mentioned about you and we had the opportunity to speak with you directly. Your patience, professionalism and expertise regarding the downtown Toronto market was in a class of its own. Most remarkable was the tireless effort you went to in order to find us the perfect home. Yet again when it comes to real estate, you are the KING..... I Believe So! Thanks for everything, King Joseph Azimi or my wife says "Real Estate King". LOL! All the best my dear friend. Wow! You did it Joe! The sale of our home went pretty quickly, didn’t it!. I don't know if I thank you or our luck. But remember you said, "the harder you work, the luckier you get." I believe it, you really work hard on this sale. I've never expected anyone to work this hard to sell a property in the worst time of the year. We very much liked the personal attention, showing feedbacks, phone calls and emails we received from you during the time our home was listed for sale. You took a personal interest in selling our home for us. Thanks for all your help Joe. You are Amazing. "You don't need luck, everything you do will bring you luck." Cheers! We are writing to express our heartfelt thank you to Mr. Joseph Azimi for being a tremendous real estate agent. Without his help and expertise, we would not be the proud owners of this dream home in Scarborough. Mr. Joseph Azimi, got us the best price ever. Most of all, that he find us a beautiful home with the best price in less than one week. Mr. Joseph Azimi help us find exactly what we were looking for and more. We are impressed and satisfied with your ability. He is like a son to us. He also helped us get a mortgage and found a lawyer for us. Thank you and God Bless My Child! Thank you, thank you, thank you, thank you for one of the most extraordinary trips of our life. Bellagio Hotel was an experience by it self. I've never been to Vegas and it was as you said, "one of the most exciting cities of the world". To all out there that wants to Sell and Buy.... Joseph was a blessing to have as our Realtor on the purchasing end as well as on the selling end. Joseph assisted us in the sale of our home in an extremely tough market. And, even though he is the #1 Realtor in our eyes and in our local area, and is undoubtably busy, he was surprisingly easy to get in touch with via email or telephone. Joseph made selling our house from afar less stressful than anticipated and we are extremely grateful for his expertise and dedication. We would - and do - highly recommend him to anyone looking to purchase or sell a home. He is the Greatest! After the sale of our home. We told him that he can sell sand to a jipsy without any problem. He is a smooth operator! I found Joseph on the internet along with 3 other realtors who I asked to send me property listings as they became available. He was the only realtor that was consistent and reliable in his responses each week. When it came time to visit, Joseph had all the information on each property that we were to view. His observations about the properties and his attention to detail were extremely helpful. When it came time for an offer, we were able to save additional money due to Joseph's expertise. I have recommended 2 other people to Joseph from our Filipino community and both have bought property in Brampton. There are many realtors in Toronto but I find it hard to believe that there is no one like Joseph. Thank you for everything. We missed you so much and your friendly face and smile. To all the buyers, When you decided to buy a home, always pick Joseph Azimi(Real Estate King). Joseph got us the best home in Mississauga with the best price. My family and I still can’t believe that we got this home. It was his search and hard work that paid off. He told us from beginning to wait and wait and wait for the right time. He was right! We waited 2 months until he said this the house you should purchase for this price. I am lucky to have Joseph as my real estate agent. I will recommend him to whomever wants to buy. He is the best and good heart person. All we can say is that if you're looking to buy a home, "BUY IT WITH JOSEPH". He is very friendly, extremely professional and man of his words. Sometimes, we felt like we known him for years and years. He is great in negotiating and bringing down the price. He got us a gorgeous home fifteen thousand less then the listing price. We couldn't believe it! As a house warming gift he did an open house for our families and friends to come and celebrate our new home. We are thankful for his great work finding us the perfect home. Eventhough, he mentioned that there is no such a thing as perfect home unless you make it perfect. We certainly refer Joseph to all the home buyers and to as many people as possible as they would certainly benefit from the service he provides. Thanks again. My Story..... I referred to Joseph through a friend. At first I thought he is overwhelming, awfully friendly, extremely positive, larger than life and more so he was fast, efficient and honest. He told me how fast do I want to sell my home. My respond was A.S.A.P. He came up with a marketing plan that was an heard to me. He managed to sell my home in 11 days with his very superb marketing strategy! The first week my home had 41 showings. Seven offers and SOLD $13,000 over the listing price. I recommend him to anyone searching or selling their home. You're in good hands when you let Joseph market your home. Joseph went beyond what is expected, to ensure the sale of our home. He door knocked 100's of our neighbors door to invite them for an open house. He believed that buyers comes from different sources and what could be better than your neighbors. His approach and marketing process were so effective that he sold our home to one of our neighbors family. He SOLD the home in 26 day. We recommend Joseph to anyone looking to sell and sell quickly in this very competitive market. He is simply a genius when it comes to marketing and marketing ideas. We are very lucky to had him as our representative, agent, salesperson and now a friend and I sure you, you'll be too. "I am extremely satisfied with Joseph Azimi!! I consider him one of the most professional and enthusiastic realtor's out there. He did an amazing job showcasing my home online. He sold my home $9,000.00 dollars over the listing price. It is my pleasure to suggest Joe's full professional services to any home sellers and buyer. Thank you Joe! We worked with Joseph to sell our Condo apartment in the West End(Brampton) and buy our new town home in Woodbridge. Based on a recommendation, we called Joseph at the end of March to discuss our plans. Our apartment hit the market in early April and sold in 35 days, for $1000 above asking when the market was getting worst by the day. The sale of our apartment coordinated perfectly with the purchase of our new home and we were able to negotiate a rent back from the new purchasers for two months while we renovated our new town home. All of this was accomplished in less than one month in a "market slump". Joseph is knowledgeable, organized, and a very friendly shooter. Not to mention, a pleasure to hang out in Vegas. We have to tell you all, that to us he is the king of real estate and treats his clients like royalty. Thank you so much for the Trip. It was a unbelievable trip of our life.... Bellagio Rocks! We look forward to working with him again and highly recommend him. 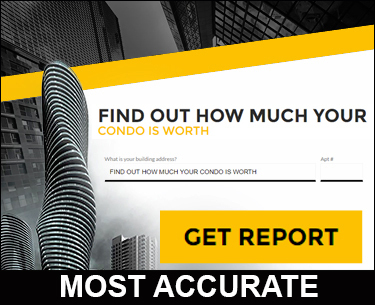 "Selling my condo with the help of Joe was fantasic. I had my apartment condo listed on a Monday, and sold on Friday. I didn't even have the time to stage my condo. I saved nearly $6,000 on the listing fee and made a profit of $14,500.00 selling it with the help of Joe. I have already recommended his full professional services to other people in the building that are interested in selling. His friendly and helpful team made it look so easy to sell home. Joe's full professional services were amazing, it was a 10++ service, keep up the good work. Thanks for everything Joe." To All The Sellers, We had the pleasure of hiring Joe to sell our home in Mississauga. He SOLD our home in 7 days and for 103 percent over the listing price. He is a gem to work with and a pleasure to be friend with. "We had an excellent experience and we would use your services again while recommending it to others." We had used Joseph as our realtor in the purchase of our first home, and again now in the sale of that home and purchase of our new one. We would certainly not hesitate to recommend him to anyone else (in fact, we already have several friends who have retained Joseph as a realtor after our recommendations). Joseph Azimi is one of the most considerate realtors we've worked with.... thank you Joe! We have nothing but positive things to say about our experience in dealing with Joe. He was confident, organized and so enthusiastic from day one. What really made a positive difference was the excellent rapport he had with everyone. His positiveness is contagious and overwhelming. We are so glad to meet him, he practically change our way of thinking. We really felt that he was the key to getting such an amazing price for our condo we sold in Down Town. We've already recommended Joe to our friends, co-workers and even strangers. Trust me, you deal with him and he will change your life. I bet... YOU! First, Joseph helped us purchase our home in a fair and decent process. This included an after-moving incident in our new home. Joseph helped us with the difficulty and saw it solved. Many other Realtors may not have stood by an already completed sale like Joseph did. As new home owners, we certainly appreciated knowing that Joe was there helping us. The experience was much more enjoyable because of this. With Joe as my realtor I had a great experience selling my first home. He is easy to talk to, knowledgeable of strategies that work to sell properties, professional and always returned my calls. Above all he delivers results. With Joe my property sold for 96% of asking price! This with extraordinary competition from comparable properties within the area. I look forward to working with him on the sale of my next home. "Selling a home can be a very anxious time, but the Joseph Azimi & his team earned my trust and confidence on the first meeting. They have exceeded my every expectation with their guarantee services." Thank You! Safia and I wish to thank you for making 2012 a great year for our family due to your efforts in finding our "dream home in a Vellorewoods neighborhood". From the moment we first met at an open house, we were impressed with your local area knowledge. The information you provided us allowed us to get a great idea in our minds of a property that you knew was coming on the market soon. We admired the way you conducted business as you were always very professional in your dress and demeanor and a high attention to detail. We look forward to sending referrals your way and would be happy to be used as a reference. "It's amazing to think, in the span of just over one month, we sold our home, we bought our current home, we moved, and we had enough time to prepare for the twin boys. The process wouldn't have gone as smoothly had it not been for your help and guidance along the way!" We appreciate your help greatly. Thank you so much for all your hard work. "Joseph did a fantastic job helping us sell our house and then find and buy our new home in a very low inventory and difficult market. We sold our house at top dollar and bought at a great deal. Joseph is extremely forthcoming, professional and energetic. We never had a moment where we felt he was slow in responding or getting work done. Our family would highly recommend him to anyone considering his team." When we came to Joseph, we were first time home buyers with specific needs. Joseph found a property that matched what we were looking right away. He provided us with a list of several comparable sales and active listings, which really helped us feel good with our final decision. Joseph even played with our son outside while we took a long look at the home which anyone with small children can understand was a great help. My son calls him uncle Joe!!!! LOL! We felt comfortable and well informed throughout the process thanks to his advice and will recommend him to anyone looking to buy a home. If you're looking for a realtor who will go above and beyond the call of duty working for you, then look no further! Joseph Azimi is there for you every step of the way. Always available to offer suggestions, calm anxieties, negotiate the best price and handle financing, inspection and closings. You can not find a more honest, smart, extremely positive, smart working realtor in Toronto. "After almost three months of searching for a new home, we met Joseph. Joseph promised that he would find our home in one day and after looking at only six homes, the seventh proved to be our new home. Joseph and his team provided excellent service and kept us informed every step of the way." If you're looking for Top Buyers Agent who is Positive, Magical, Personable, Expert & most friendly then look no more. Joseph sold one of my properties back in January for top dollar, so when it came time for me to sell again, without hesitation I called Joe. I put my house up for sale at one of the worst times on the calendar, just before the start of a new school year. But with Joe this wasn't a problem, just a bump in the road. Within a matter of weeks we had multiple offers and ended up selling at a Record Price for the neighbourhood! 98% of Asking! And not a penny less than what I wanted to sell for. Joe delivers winning results, and I highly recommend Joe to anyone who is considering buying or selling. He is knowledgeable of marketing strategies that work, he responded promptly to my calls and texts, and he does all that he can to get you to your desired goal. Besides all of this he has a range of high quality listing packages that he offers at a discounted rate-- How can you go wrong with that? All I know is that when it comes time for me to sell this property that he helped me buy, I'm calling him again! In our eyes Joseph Azimi and his team are top-notch and an expert real estate professionals. Joseph and his team provide us with outstanding consultation and client services. Their knowledge of local market, skill as negotiators, experience and most of all their minimum commission packages set them apart from their peers. Anyone looking to sell real estate would benefit immensely from their unbeatable listing services. If you are like us skeptic of everything you hear or see, you will be surprise and couldn’t agree more that his minimum commission listing packages is the best we’ve seen so far. In fact, we interviewed quite a few real estate agents in our area before calling Joseph. He impressed us with his knowledge, professionalism, positiveness and undeniable maximum listing services for minimum commission. We say, you should call him now and hear for yourself what he can offer you. You will be extremely impressed. To All Buyers/Sellers: I would recommend Joseph and his team of professionals to all buyers and sellers. Not only Joseph sold our home and found us our dream home, he took care of our mortgage financing, inspection, appraisal's, lawyers and even our moving expense. I've dealt twice with agents before but as he said, "You Are Dealing With An Expert .... Now." Joseph is truly an expert and an Angel in our eyes. Thank you Joseph for being so helpful and for making our third move a memorable one. You made it seem so easy and effortless, it was like one stop shop with you. We are very glad we have called you. If you are looking for An Angel Real Estate Expert then call Joseph now. He is not your average JOE! You will be happy as we are right now. Sharing My Story With All The Real Estate Buyers: We are so fortunate to work with one of the most intelligent, intellectual, professional and expert realtor Mr. Joseph Azimi. We have worked with couple of agents in the past but it was nothing like the incredible experience with Joseph Azimi. He is the best “Expert” we have worked with. He got us the best mortgage rate, found us our dream home, put a best offer, took care of the inspection and fees, finalized the purchase of our dream home, got us a lawyer and paid the legal fees for us. I DON'T THINK ANYONE DOES THIS FOR THEIR CLIENTS. At first, Patrick and I was skeptic of Joseph’s promises but now I am sitting here and writing my story to all the buyers who are looking now to purchase a home with Joseph. If you’re looking for an expert realtor who actually cares for your needs, give back to you and who is incredibly honest and sincere then I can only suggest right now the expert Joseph. I don’t think anyone is like him. I asked him, “Why do you give so much to us.” His reply, “Give the world the best you have and the best will come back to you.” Now I know why all his clients think of him as an “ANGEL”. Just Try Joseph right now. You will be glad you’ve called him.... I did! After reading Joseph’s past client’s compliments below, I don’t think I can express my gratitude so well. However, if you are a seller or a buyer reading this testimonial please do yourself a favor call him now and meet with him once. I promise, you would love his attitude & mindset, appreciate his knowledge & understanding and cherish the friendship forever. He is different type of real estate agent, one of a kind. Joseph is so caring and giving that it makes me tell the world about him. I have no words to express my utmost gratitude for Joseph and his team of experts. Not only he helped me sell my home with VIP services, charged me minimum commission, found my dream home and paid for most of my expenses but he has helped me change my life and my attitude toward life. He is not your average Joe! I Can’t Agree More! Call him now and take advantage of his amazing real estate services and way of thinking about life. When Joseph asked me if I can write a paragraph about my experience with his services I said, “YOU DIDN’T HAVE TO ASK!” I would like to share my experience with all the home sellers and buyers. 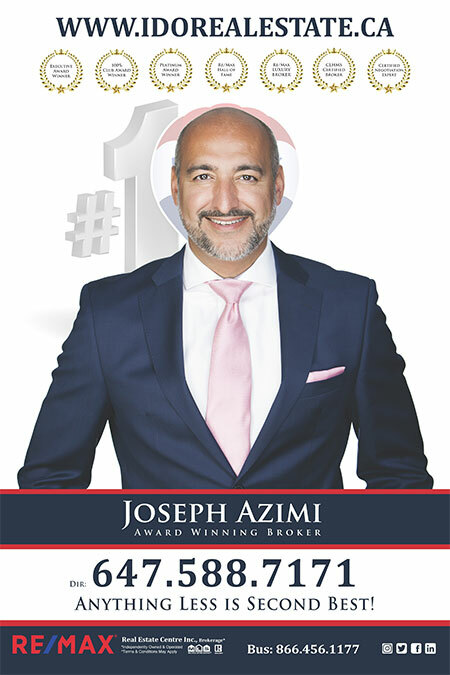 I was searching on GOOGLE for TOP REAL ESTATE AGENT IN TORONTO, when I stumble upon TOP REALTOR JOSEPH AZIMI’S website. After reading most of the reviews similar to what I am writing right now, I called Joseph and schedule a free home evaluation. After the first meeting I knew right away Joseph was different. He was smart, professional, knowledgeable and very helpful and caring which is very rare to find in real estate agents these days. He hardly spoke about himself only his services. I listed my home with Joseph with great services that were right for me and with minimum commission. After nineteen days being on the market my house sold as per my expected price with my terms and conditions and with Joseph's guidance. During this time Joseph was available to answer all my questions and concerns and kept me up to date with showings and feed back. I felt great to see that I am not just a number but a VIP client. Now I am looking to find a “LUCKY DREAM CONDO” as per Joseph’s saying. hahahah. I guess if I had to tell all the sellers what makes Joseph different from the rest of realtors it would be his ability to treat you like a VIP, always think of your interest first, being available all the time, a sense of caring and devotion toward his client and last but not least his amazing outlook toward life, believe and knowledge & experience. I would say, try him and his great real estate services and you will see for yourself what he is all about. Attention all Sellers & Buyers: Every few years we buy and sell homes in hopes of retiring soon. We bought a home from a reputable builder; they promised us that our new home will be ready at the end of May. We listed our home this year with one of the areas agent and he promised us to get it sold in 3 months for the price we want, no if’s or buts’. After being on the market for three months with no offers and two price adjustments, Roman and I were faced with the frightening burden of having two mortgages. One of my good friends mentioned about Joseph Azimi the Expert & Top Realtor. We invited Joseph to take a look at why our home was not selling. During his visit he point out four major issues with our home that we needed to improve. Joseph and his team took on this project with astonishing speed and efficiency. The entire sale was closed less than 11 days from the date of our signing on with Joseph Azimi’s team, and their performance in every aspect of the process was simply outstanding. 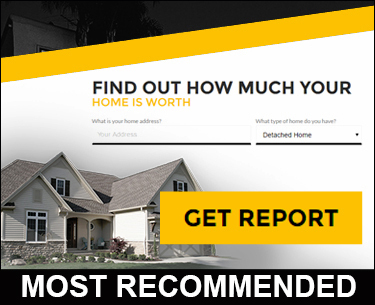 I would recommend Joseph and his team of experts, without any hesitation whatsoever, to anyone who wants to enjoy a smooth, satisfying, and profitable home-selling experience. I have bought and sold a lot of real estate in the last 14 years with different agents, but Joseph is, without question, an expert. He is reasonable, very honest, personable, and trustworthy realtor I've ever work with. This time we got a realtor for life! If you want to sell fast call Joseph Now. I met Joseph Azimi during a very hard time in my life, I had to sell my home as fast as possible and I couldn’t afford to pay 5 % commission due to my financial obligations. I had called a few of my area agents to discuss my situation but the services they offered for minimum commission did not suite my needs and was not affordable or realistic. Joseph’s services and unbelievable packages are unheard of and unbeatable. He is very spiritual and his beliefs are Godly. He sold my home in 23 days, I paid minimum commission and I received the best services. I felt like I was working with family and he had my best interest in heart. He is a genuine human being with a heart of gold. I would ask anyone to give Joseph Azimi a call and see what he is all about. A true GEM !! My husband and I decided to buy our first home and we didn’t know where to start. I was referred to Joseph Azimi by a co-worker and I called him right away. He set up an appointment to meet with us and during the meeting he explained the home buying process in great detail and we felt extremely comfortable with him. Joseph introduced us to a mortgage broker, lawyer, home inspector and found us an amazing home in the neighbourhood of our choice. On our closing date he surprised us with an amazing gift. We were truly blessed to have someone like Joseph assist us. I would definitely recommend him to anyone who is interested in buying or selling. You will be extremely happy with his services. Thank you Joseph for being a guide and friend to us. My husband and I were selling our home for the first time and buying a new one for our growing family. We found Joseph searching the net looking for best real estate agent. Calling Joseph to help us sell our home turned out to be the best decision we ever made in selling our home. In the first meeting, he outshined three other real estate agents we interviewed prior to meeting Joseph. His delightful personality, positive attitude and extra ordinary outlook in life made him standout right away. After the first meeting we knew he is the expert we want on our side and by far he surpassed our expectations. Joseph knew all the real estate sales and comparables in our area. His experience and knowledge of the neighborhood provided us an insight into the market. He showed us a list of all the homes sold in our area for the last 2 years. His selling price market analysis was a precise and very realistic. Also, he is a marketing expert and we were amazed how professionally he marketed our home. The pictures on our listing made us almost regret selling the place! It blew us away when Joseph called just four days after hitting the market with a great offer on our house. This resulted in a final sale very close to our asking price and well above our original expectations. 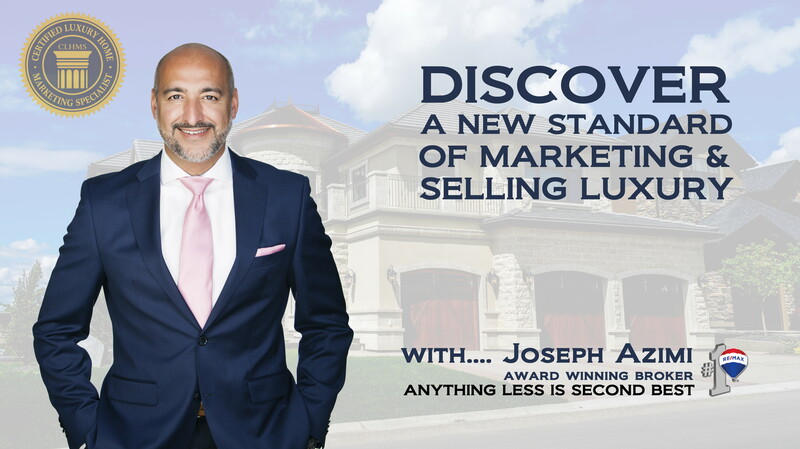 Joseph is truly an expert when it comes to selling and marketing. Call him right away and you will have the same experience as we did. "Maximum Services, Maximum Results - Guaranteed! TO THOSE WHO WANT THE BEST SELLING SERVICES - I SAVED THE MOST, GOT THE BEST SERVICES.... AND SOLD THE HIGHEST! Before we called Joseph Azimi, we were skeptical of his minimum commission services. We interviewed one of the well known Realtor's in our area. We thought we were getting a great listing package for 5% commission but when Joseph explained his unbeatable "Minimum Commission Listing Packages", we decided to go with Joe and save $4300 dollars on selling commission and he sold our home exactly $9000 dollars higher than any other comparable homes sold in our neighborhood this year. I strongly encourage people to call Joseph before listing their home. Don't be naive call now, his consultation is FREE! Thank you Joe and I recommend your services to anyone who wants to sell or buy. PREVIOUS CLIENTS AND VISITORS WROTE ON OUR BLOG: The Minimum Commission is true! I saw the sign on the corner of my subdivision. At first, My thought was "what's the catch." So, I called Joseph and spoke to him and invited him to come list my home. The next day I listed my home with Joseph for half the cost. No Catch! No Trick! 100% truth! Where were you when I was selling my home last year. This is great I will tell couple of my friends who is thinking of selling their homes. They can save a lot of money with you. Thank you for your kind and understanding morality. Unbelievable Promotion. I am glad someone is honest enough to admit that the cost is more then we can endure. I will tell my neighbors and co-worker about your great offerings. Thank you for being HONEST! We really appreciate your integrity, honesty and fairness! I wanted to share our experience selling our home with Joseph Azimi. I have searched the entire internet, reading as much as I could about the various real estate agents, and with great luck I found Joe’s website on Google. I called and setup a home evaluation time with Joseph. I was instantly impressed with Joseph, who proved to be an expert in the area and with his superb presentation, start to finish. We decided right away he would be our listing agent and when marketed and promoted our home I was even more impressed. Throughout the entire process of listing, clearing the home, staging, showing and selling, Joseph handled every detail quickly, with high energy, great positivity and good humor. The home photographer he brought took excellent photos and created an excellent virtual tour and the internet presence provided by Joseph was undeniably top notch. Joseph was always quick to answer my calls and emails and was instantly responsive to any concerns. He was efficient, professional and detail-oriented. We’ve been very fortunate to have met and selected Joseph Azimi to list and sell our home and investment. I would without hesitation recommend Joseph to anyone with a property to sell. I believe that his knowledge, professionalism and maximum real estate services would be of benefit to all sellers as well as buyers. Many Many thanks to you Joseph. Six months ago we listed our home with one of city’s well known real estate team. In four months, we had 71 showings and no offer. Not to mention we reduced the price twice in four months. After the forth month we decided to hire another well known realtor in the city who promised us a quick sale and top price and yet again disappointed with his work ethics and real estate service. A co-worker referred Joseph Azimi to us and he said, “Him and his entire family deal with Joseph’s real estate services.” We decided to call Joseph and on the first visit he pin pointed three major areas of concern with our home. He promised that if we correct and repair these issues he will sell it full price. After repairing and correcting the three major issues, he listed the home with the original listed price. He called all the previous agents that visited our home and invited them again for more showings. However, he did not accept any offers for eight days and after the eight day we had 5 offers and we sold $11,000.00 over asking price. Not to forget, before he listed our home he also Fung Shui our home for luck, prosperity and profit. Joseph is truly an Angel, down to earth, friendly and most uplifting person we have ever met. He is beyond doubt an expert in real estate market. We appreciate your expertise and knowledge and we could never thank you enough Joseph. Call Joseph and discover for yourself his undeniable pleasant personality and expert real estate services.